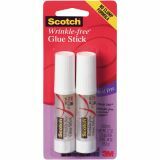 Scotch Wrinkle-Free Glue Sticks 2/Pkg - 3M-Scotch: Wrinkle-Free Glue Sticks. This patent-pending clear formula eliminates clumping and wrinkling on most papers giving your projects a more professional appearance. It strongly bonds most papers and photos and is both acid free and photo-safe. The tube itself is clear so you can easily see when the glue level is low and the choke-resistant cap is designed for safety. 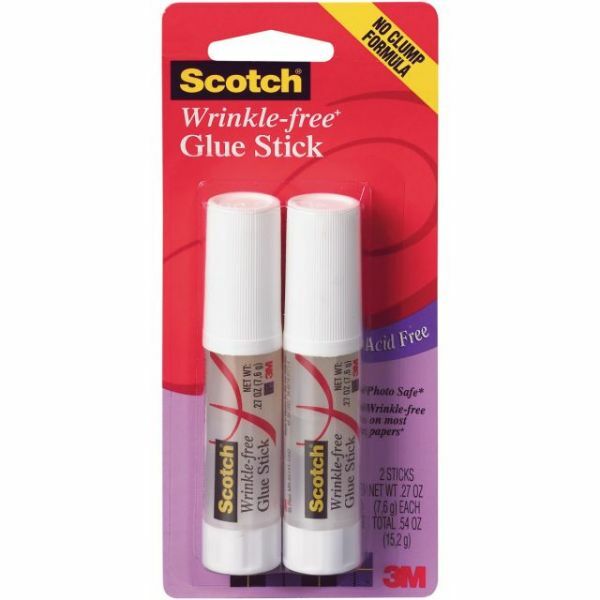 This package contains two glue sticks each with .27oz (7.6g) of glue. Conforms to ASTM D-4236. Imported.